For more information or to schedule an appointment with our Milwaukee chiropractor, call (414) 643-6000 today! Dr. Raymond Janusz is a chiropractor serving Milwaukee and the surrounding communities.  Our chiropractor and the rest of the friendly team at Lifetime Chiropractic Center, LLC are dedicated to chiropractic solutions to target your unique needs, whether you are suffering from back pain, neck pain, headaches, or even just plain old muscular tightness and tension. You may need pain relief after suffering an accident, experiencing an injury, or if you have a specific condition such as chronic back pain or a spinal condition; even if you just want to improve your overall health, our chiropractor can help you achieve your wellness goals! Please visit the testimonials page to see what our patients are saying about our Milwaukee chiropractor and getting regular chiropractic treatments. 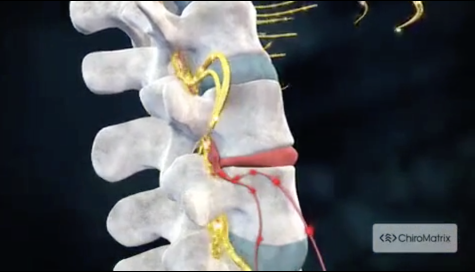 At your first visit to Lifetime Chiropractic Center, LLC, Dr. Raymond Janusz will explain the science behind how chiropractic care works, and give you a full evaluation to see if chiropractic care is right for you. If there is a good fit, we can develop a plan of chiropractic care that is specific to your condition and health goals. If you are new to seeing a chiropractor and want to find out more, please email us or call (414) 643-6000 to receive personalized answers to your questions from our friendly team. In his youth, Dr. Raymond Janusz, was brought up with chiropractic wellness concepts and care. His Father, Dr. Raymond Sr. had served as a doctor of chiropractic on Milwaukee's southside. His sister Christine as well as his brother-in law Greg also became chiropractors. Continuing the legacy of their father, the Janusz family has served the Milwaukee community for over 70 years and have been happy to call Milwaukee home. Dr. Janusz loves talking to his patients and seeing them reach their goals. He’s grateful to have a career that has a positive impact on people’s lives. In his free time, Dr. Janusz enjoys spending time with his family, hiking, going to car shows, riding his Harley Davidson (also his dog's name) and enjoying dinners out. Thomas Edison coined Dr. Janusz's favorite quote, “'The doctor of the future will give no medicine but will interest his patients in the care of the human frame, in diet, and in the cause and prevention of disease,” it reminds him of the innate ability we all have and the great impact we can have on each other. "I've been feeling much better. I never felt better in years. I am sleeping better at night and can pretty much function during the day. The staff is wonderful to my son and me. Keep up the good work!"